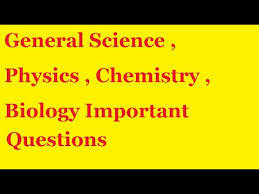 We are giving Important Questions with answers of General Science asked in many competitive exams. And Daily DateWise 14-09-2017 questions will very helpful to you for the forthcoming upcoming Rajasthan Jail Prahari New Exam Date And Syllabus 2017. Rajasthan Jail Prahari Re exam Admit Card 2017 and RAS, IAS, UPSC, RPSC, 1st, 2nd, 3rd Grade Teacher, REET CTET, LDC, SSC CGL, IBPS, MBA, CAT, MAT, SBI-PO, RBI And Railway, Indian Army , Rajasthan,Delhi Police Related Study material And All competitive exams and will increase your intelligence skills. Question. (2) Where is the purification of blood? रक्त का शुद्धिकरण कहाँ होता है? Question. (3) What is the process of purification of blood in the human body? मानव शरीर में खून के शुद्धिकरण की प्रक्रिया को क्या कहते हैं? Question. (4 What is the red color in the blood? रक्त में लाल रंग किसके कारण होता है? Question. (6) Hemoglobin is the key ingredient? हीमोग्लोबिन किसका महत्वपूर्ण घटक है? Question. (7) What is the work of hemoglobin? Question. (8) whose help is oxygen transported by the blood? Question. (9) Who works the bank in the human body? मानव शरीर में रुधिर बैंक का कार्य कौन करता है? Question. (10) What is human blood pH value? मानव रक्त का pH मान होता है?